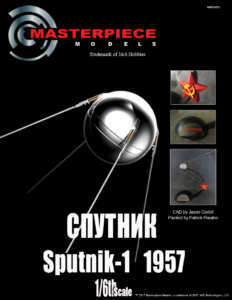 Sputnik1 1/6th scale AVAILABLE NOW! 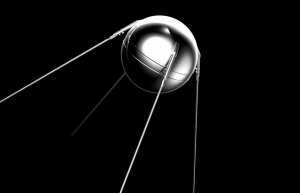 The Soviet Union launched Sputnik 1, the first artificial satellite, into elliptical low Earth orbit on October 4th, 1957. 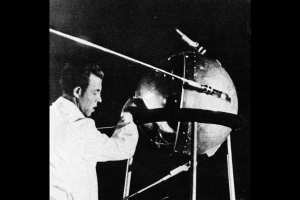 It was a simple, polished sphere equipped with four external radio antennas transmitting radio signals at .03 second pulses. This information was used to gather information on density of the upper layers of the atmosphere and the propagation of radio signals in the ionosphere. 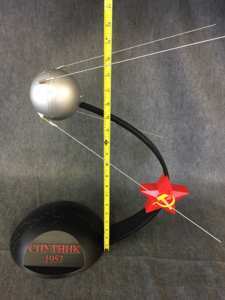 Sputnik 1 was also the main catalyst of the Space Race and contributed to the rift between the United States and the Soviet Union during the Cold War. Nevertheless, it remains one of the most significant examples of science and space exploration ever designed, built, and launched. The model comes unpainted so you could customize it however you’d like!